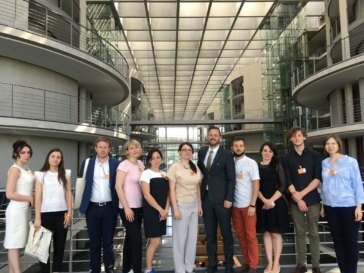 The study trip “Between research and politics: How do state and non-state think tanks shape policy-making in Germany?” of the project “Platform for Analytics and Intercultural Communication” (PAIC) took place in Berlin from 4 to 9 June 2018. Eight experts from Ukrainian think tanks, NGOs and research institute visited Berlin and had the chance to examine the role of research in Germany’s political landscape. Next to providing this inside view in the German research system, the strengthening of cooperation strings between Ukrainian and German experts was the main aim of the study trip. After the official welcoming from our director Dr. Katrin Böttger at our institute, the participants presented their policy briefs which were written within the framework of previous PAIC-workshops in Ukraine. The policy briefs dealt with topics such as the EU-association of Ukraine, the reforms of the public service or decentralisation and were discussed in a colloquium format. A major focal point of the study trip was put on the differences and similarities in the work of political foundations and research institutions. Therefore our guests visited the Heinrich-Böll-Foundation, the German Institute for International and Security Affairs (SWP), the Centre for East European and International (ZOiS), the grassroots think tank Polis 180 as well as the Centre Liberal Modernity. Through the visits our guests had the chance to find out more about the role of German research organisations in the consultation of political stakeholders, interdisciplinary research work, the support of young researchers and the successful communication of research results as well as to exchange opinion on the perception of Ukraine in Germany. A fishbowl discussion on the consequences of the EU-Ukraine Association Agreement which was organised by the European Academy Berlin gave a thorough insight into the discourse on Ukraine in Germany. The study trip was complemented with a discussion with experts from the Scientific Service of the German Bundestag on the role of independent academic work for the day-to-day business of the Bundestag and policy-making in particular. On the last day of the study trip, the participants joined the PAIC conference “The European Union and Ukraine: How to enhance the cooperation and maintain the reform process?”. The conference focused on the developments within the EU-Ukraine relationship as well as the socio-political and economic changes in Ukraine after the Euromaidan. The study trip was organised within the framework of the project “Platform for Analytics and Intercultural Communication” (PAIC) which aims at supporting of the Ukrainian think tank landscape and fostering the exchange between German and Ukrainian think tanks. 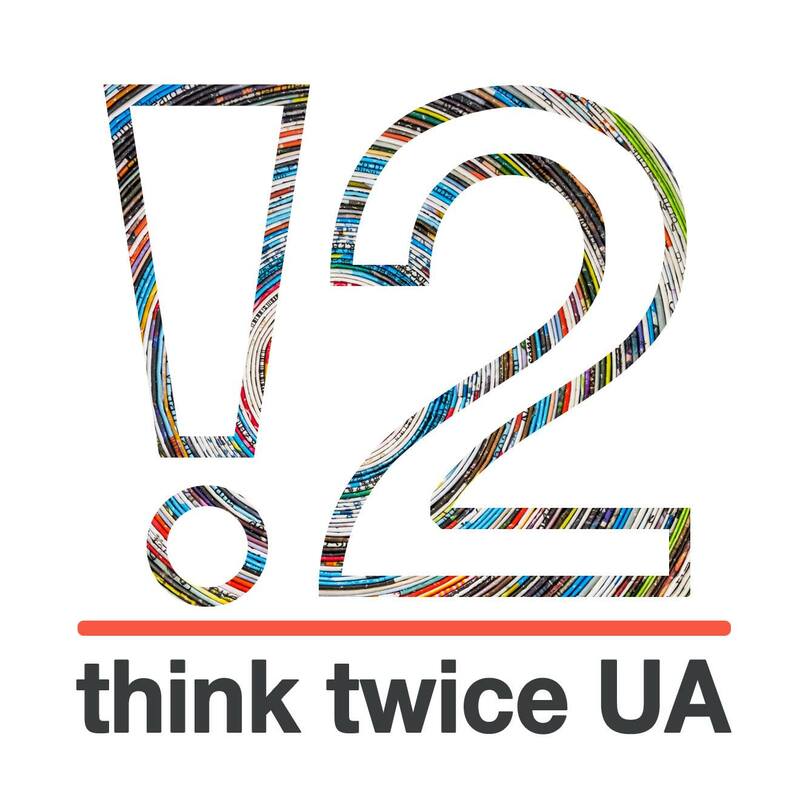 The project is implemented by the Institute for European Politics (IEP, Berlin) in cooperation with the International Renaissance Foundation (IRF, Kyiv), the Ilko Kucheriv Democratic Initiatives Foundation (DIF, Kyiv) and the think tank-initiative „think twice UA“ (Kyiv) and with the kind support of the Federal Foreign Office.